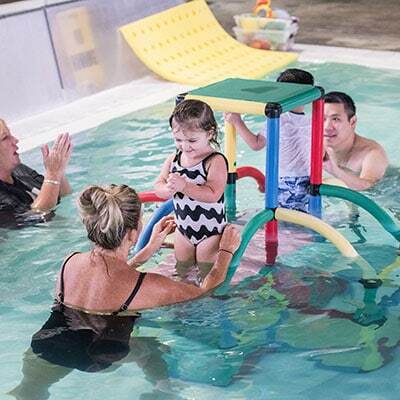 6-15 months with the primary focus of water acclimation, comfort and participation in fun activities. 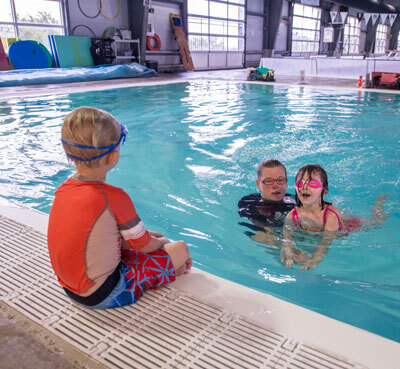 16-26 months; begin learning basic swimming and safety skills through organized activities, while honing in on developing confidence in the water. 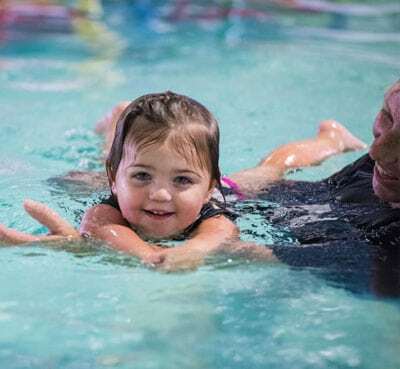 27-36 months; focusing on developing a strong skill set in a more goal-specific environment, in order to help swimmers smoothly transition into more safe, and independent swimming. 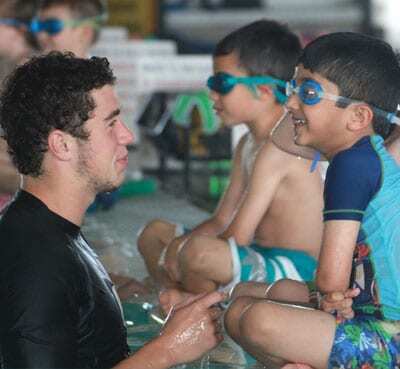 Nitro 1 is our fun, basic learn to swim program with 3:1 student teacher ratios. We run on a 10-station curriculum where swimmers learn a new skill at every level and advance through at their own pace. 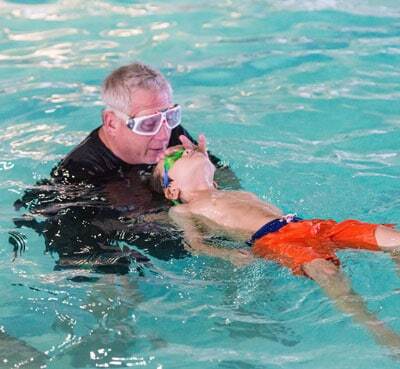 It begins as basic as learning to do a successful submersion for five seconds, and finishes in station 10 with 20 yards of backstroke and 20 yards of freestyle, rolling to catch a breath. Nitro 1 also has a huge emphasis on safety – swimmers are taught a rolling recovery, as well as a jump recovery. 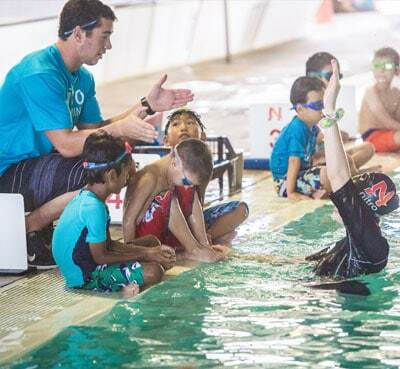 Nitro 2 is designed as a more “competitive” learn to swim curriculum for those looking for more advanced instruction –covering streamlining, rhythmic breathing, side breathing freestyle, and the other 3 competitive strokes of backstroke, breaststroke, and butterfly. Nitro 2 also covers treading water, survival floats, and competitive turns. Private Lessons are available. Your choice of teacher on your schedule. Semi-Private lessons: Two kids, one teacher, your choice of instructor, your schedule.